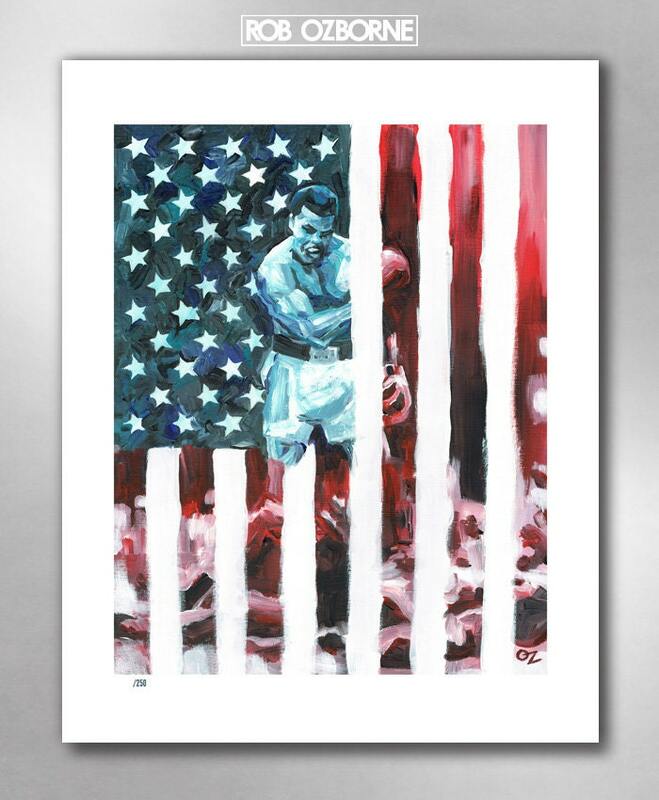 "CHAMP ALI" limited edition art print by Rob Ozborne. From the American Hero series. 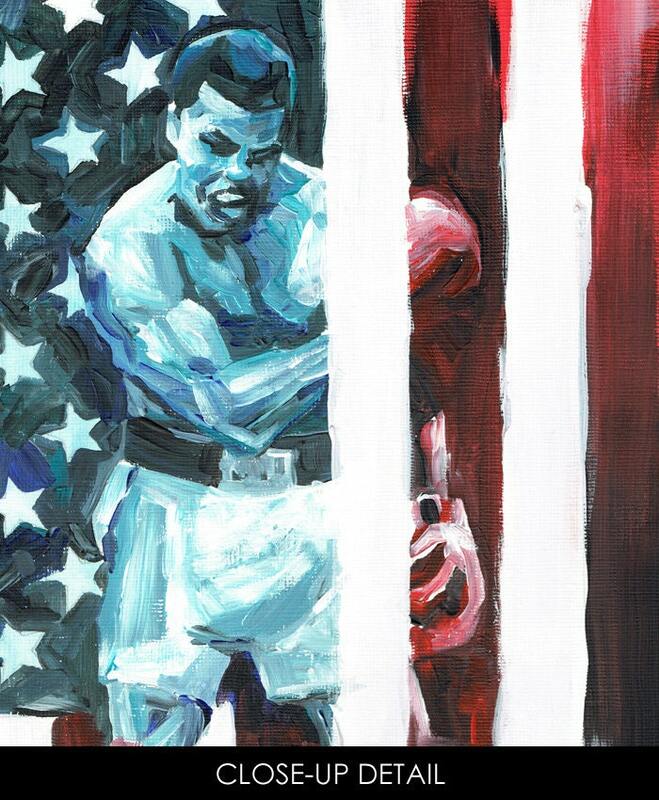 THE STORY: Muhammad Ali was a spectacular champion, an inspiration, and a great American. This print beautifully reproduces the original painting. When you buy this print, you will be helping to bring health and wellness to those afflicted with Parkinson's disease. Because in the Champ's honor, a sizable chunk of the proceeds will be contributed to research. We are looking into how best to apply these funds, and thrilled that we can make a difference. This is a limited edition that is numbered (out of 250).